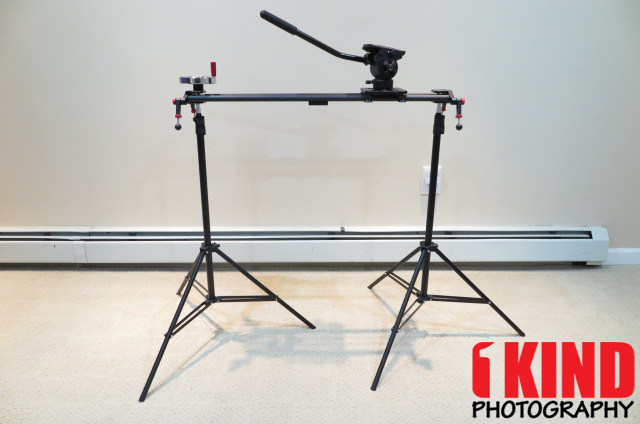 Overview : Achieve the perfect slide with precise control over movement with the Kamerar Fluid Motion Slider. 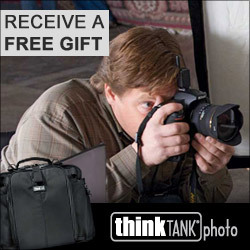 Get professional quality at an affordable price. 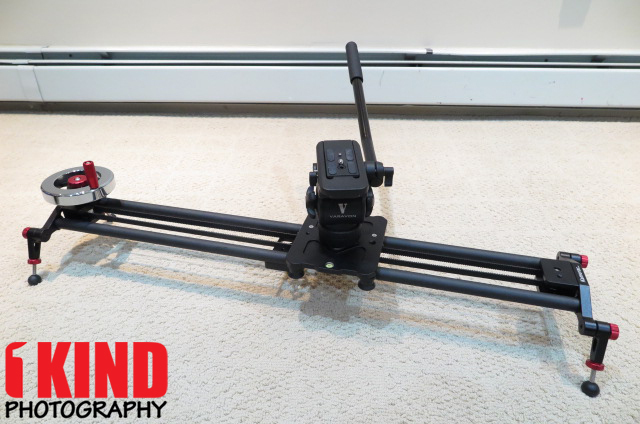 This feature-packed slider is both extremely sturdy and ultra portable. 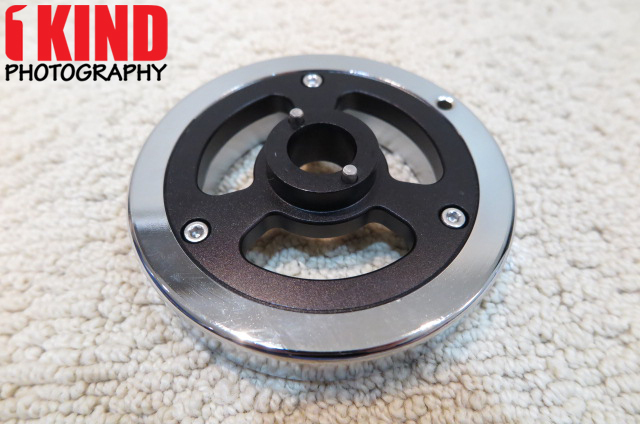 Get smoother ramped shots with the belt drive and flywheel counterweight system. 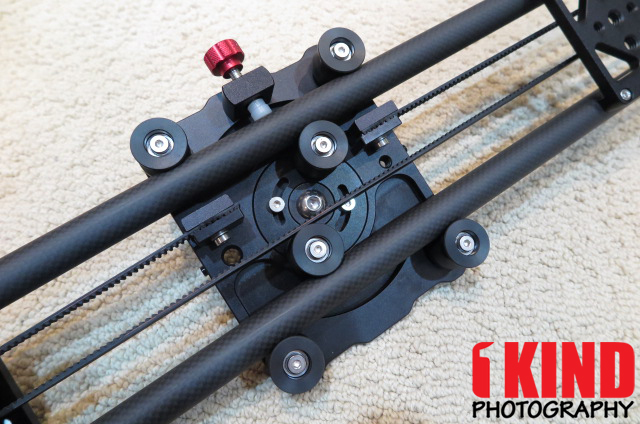 FLUID MOTION SLIDER: Achieve the perfect slide with precise control over movement with the Kamerar Fluid Motion Slider. 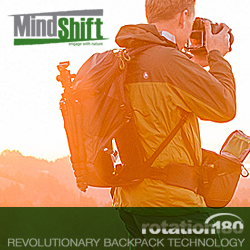 This feature-packed slider is both extremely sturdy and ultra portable. Quality/Usability : The Varavon Slidecam Lite that I have been using for a few years has worked for me, I wanted to try something that was a little more smoother. With the Varavon, it was on a rail with ball bearings. Movement was controlled by me manually pushing it which at times can lead to jerky videos. Not to mention, it was aluminum so it had some weight to it. 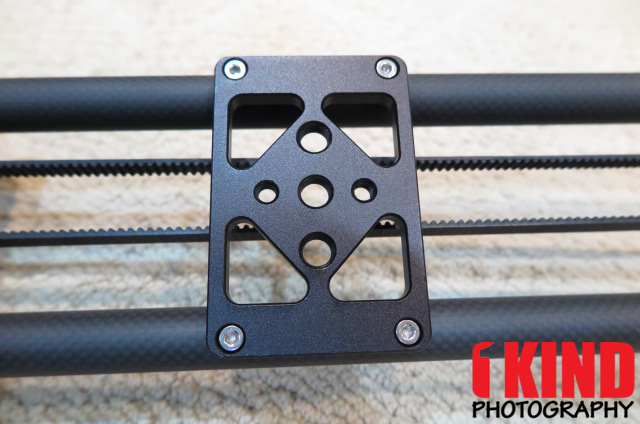 I know of Kamerar and they produce high quality products so I thought I would give their Fluid Motion Slider a try considering it has a flywheel counterweight system and the rails are carbon fiber which means light in weight. 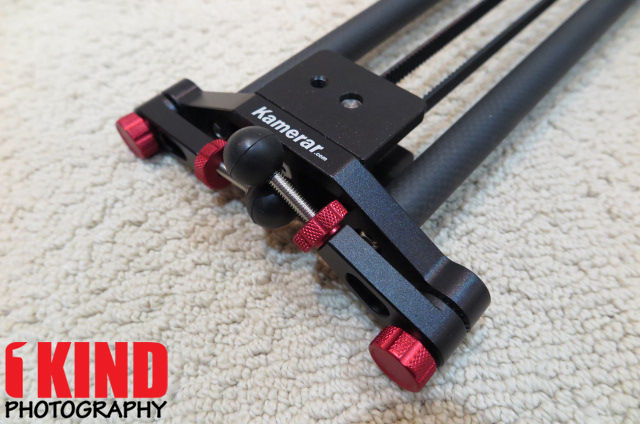 The Kamerar Fluid Motion Slider includes the slider, carbon fiber rails, flywheel counterweight, handle and screw as well as hex keys. Not pictured is a black carry case but I'll have pictures of it below. Everything was already set up for me when I received it except for the counterweight and handles. Each leg has teeth like slots that help position the legs and prevents it from moving. 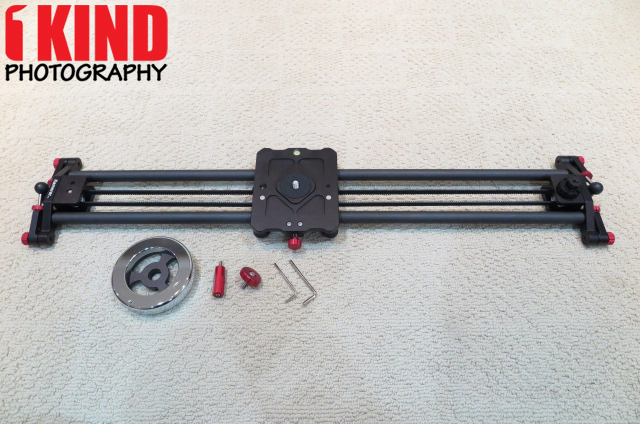 The slider carriage has a 3/8"-16 that allows you to attach a ball head or video head. 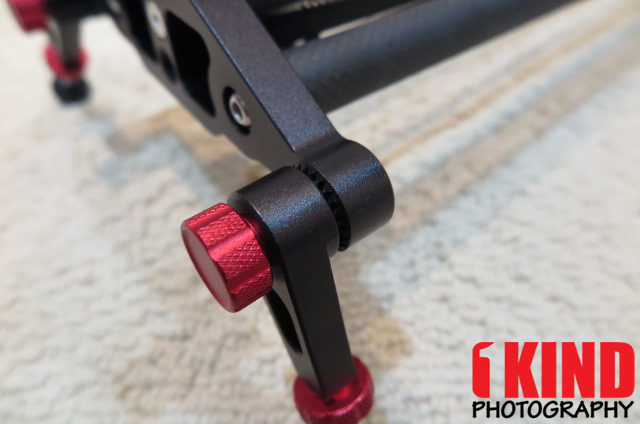 There is also a side mounted brake so you can lock the slider carriage in place. 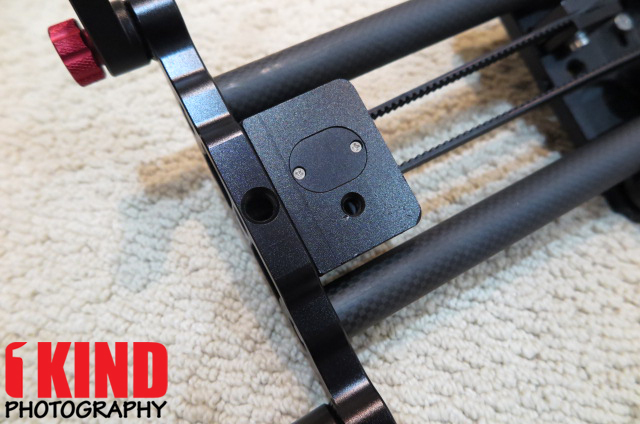 On top of the slider carriage is an embedded bubble level to make sure your slider is completely balanced. I would of preferred the bubble level on the same side as the side mounted brake which would make things a little easier to see because I would have the side mounted brake screw closest to me. With the bubble level on the other side, if I want to see, I would have to lean over to see. It's just personal preference. I can have the bubble level closest to me but the side mounted brake would be towards the front and would require me to reach over to loosen it. 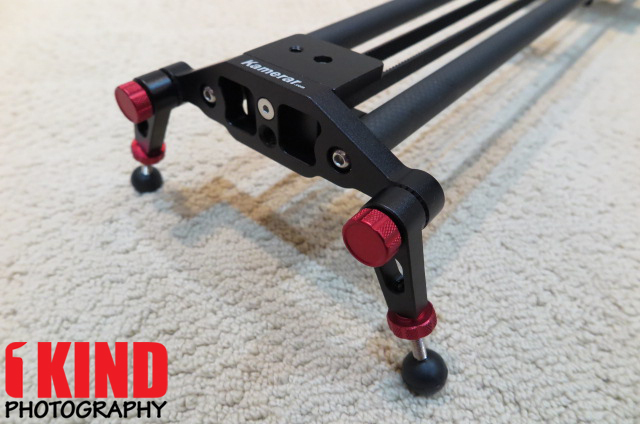 This is a great because with the Varavon Slidecam or any other slider that uses a ball bearing system, you can hear the slider roll. And if dirt or something gets on the ball, it came cause the slider not to glide smoothly. At least with the rollers, it's easier to clean. And yes, it is a fingerprint magnet. 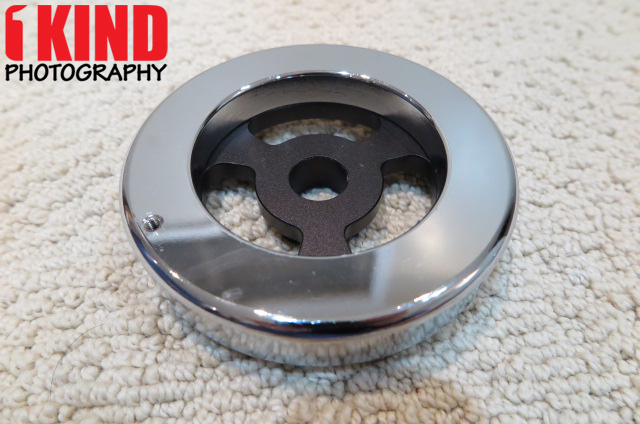 A handle is included so you can attach it onto the counterweight. 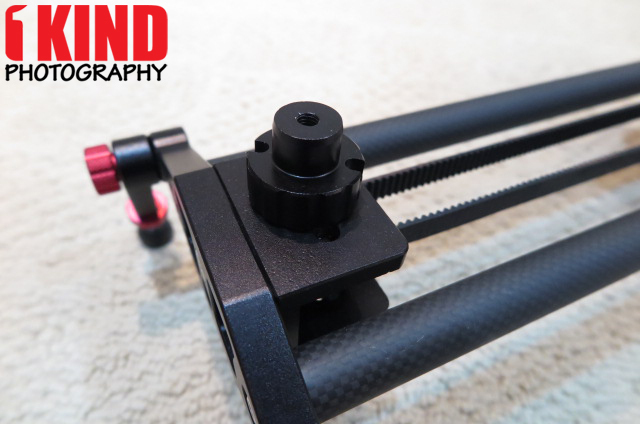 This gives you a different way to operate the slider with a crank for full control over your camera movements. You don't have to use the handle and can just have the counterweight installed. If you need to move the slider, you can spin the counterweight with your finger like a DJ would spin records. I actually prefer this method of using my fingers to spin the counterweight as its much more smoother. With the handle, it can get a little jerky. 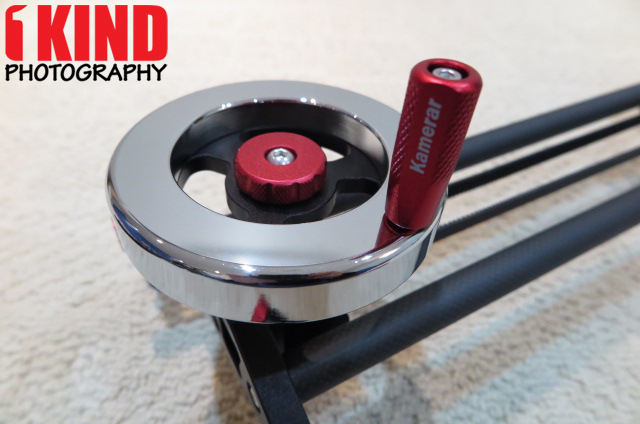 The Kamerar Fluid Motion Slider Flywheel can hold up to 10 lbs of weight. I have a Varavon 103 HD Video Head mounted. 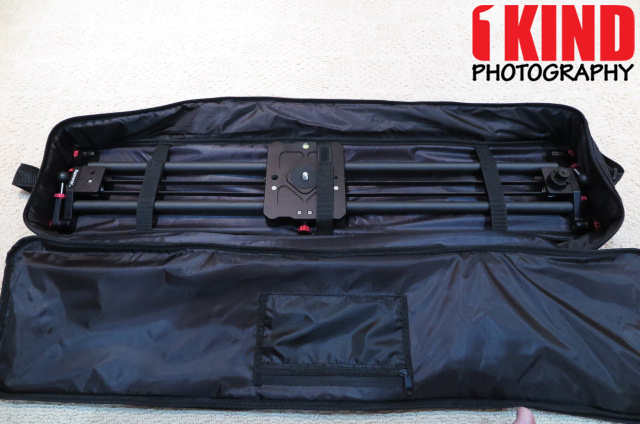 The Kamerar Fluid Motion Slider comes with a black case. The front has a small zippered pocket that holds the counterweight wheel as well as the screw and handle. It's a nice little nylon bag but because of the length of the bag and where the straps are located, it makes for a floppy bag. It would have been nice if the straps was on the top of the bag. There is also a handle on top of the bag for quick carry. 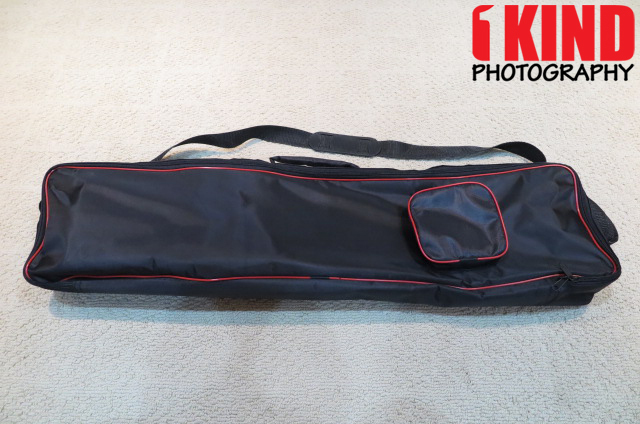 On the flipside of the bags cover is a small zippered pocket to hold small items. I currently use that to store the hex keys. 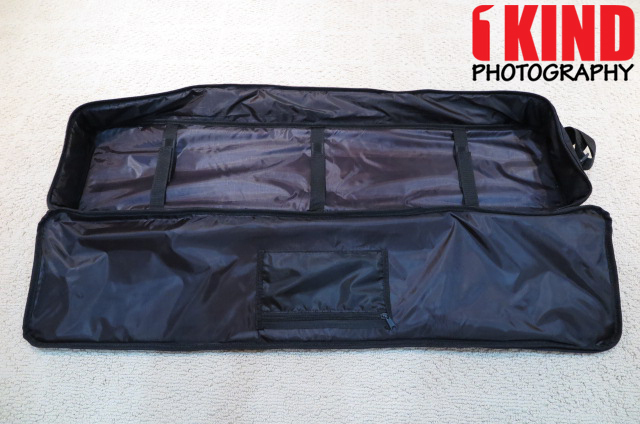 Inside the bag are three velcro straps that help secure the slider in place. That is all. There isn't much padding to the bag. Since I put the Varavon video head inside with the slider, it would be nice if they had a spot for video heads or offers a separate flap to offer protection. Currently, I have the video head wrapped up in bubble wrap. 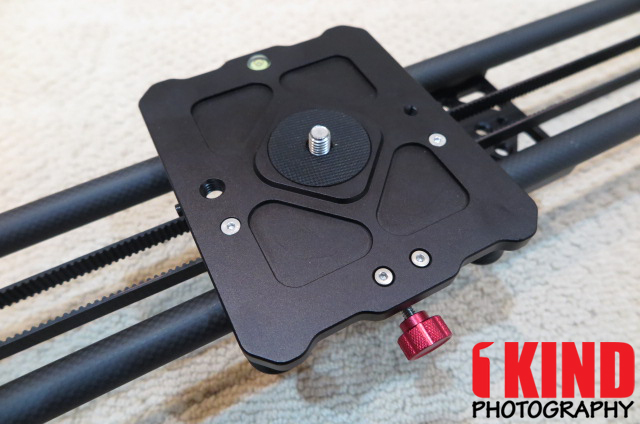 Conclusion : Overall, the Kamerar Fluid Motion Slider Flywheel Counterweight System is a very fluid slider. 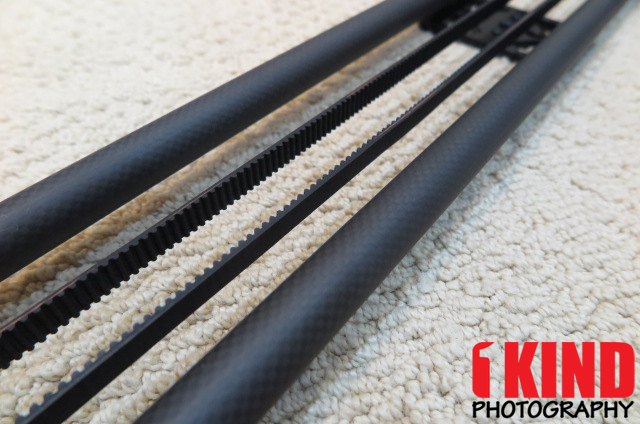 The carbon fiber rails definitely helps with the weight and I love the rollers, it makes sliding very smooth. It would have been nice if instructions were included on how to clean or maintain the rollers and belt. 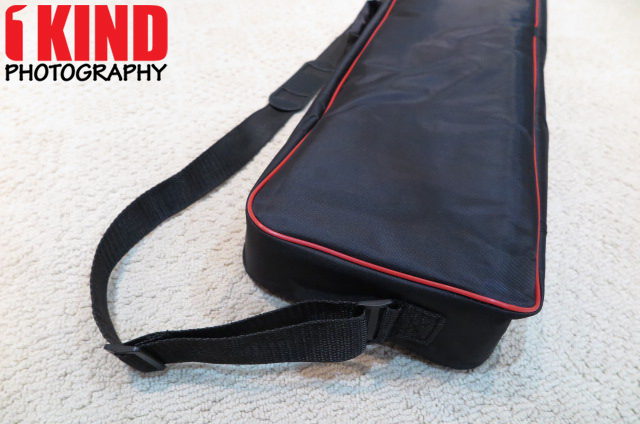 I would like to see the bag beefed up a little bit more to offer a bit more protection and ability to store a video head or at least give some padded separation between the video head and slider. If you don't want to put the video head inside with the slider, you would have to carry it separately. I personally prefer to have everything together. Less chance of forgetting/misplacing things.